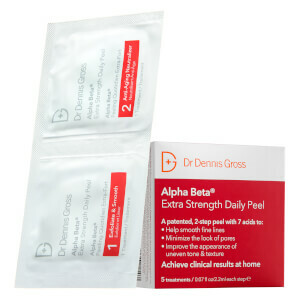 The revolutionary Alpha Beta® Peel Daily Face Peel is now conveniently packaged in a box of 30 single use packettes. Perfectly packaged for travel, each tandem packette contains the precisely calibrated blend of medical-grade ingredients and alpha- and beta-hydroxy acids in the two step system contained on the pads in Step 1 and Step 2. The first at-home alpha-beta hydroxy acid treatment in ready-to-use pads delivers immediate, visible results to every type of skin. 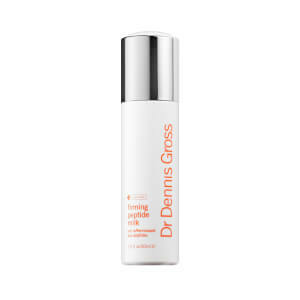 Diminishes the appearance of fine lines and wrinkles while boosting skin density and vitality. Reduces pore size and breakouts. Gently restores radiance with a calibrated blend of Alpha and Beta hydroxy acids. Soothes, conditions and moisturizes. Delivers cumulative benefits and optimal results with daily use. Contains a 30 day supply. Fragrance-free. For normal, sensitive and problem skin. Step 1: Apply to clean, dry skin. Swipe Step 1 pad over face, from forehead downward to neck in semi-circular strokes. Avoid contact with eyes and lips. Continue to apply evenly until pad feels dry. Swipe Step 2 pad over the face with the same technique as Step 1. Apply until pad feels dry. Do not rinse or use products containing alcohol. Allow skin to dry. My number 1 must have skincare product! Clears my breakouts amazingly fast! 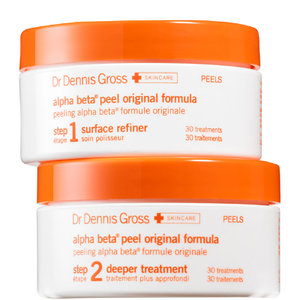 These peels really work. I used to get little bumpy clogged pores that I was always trying to extract on my own--leading to facial red spots that probably looked worse than the original bumps had. No more clogged pores, and no flakiness, either. My face feels everyday what it used to feel like only after a professional glycolic facial. I will continue to use this product everyday! 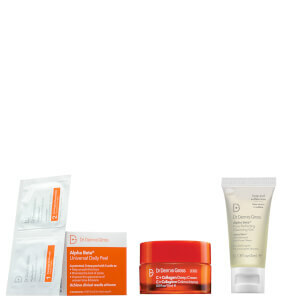 Great product -- samples got me hooked! I received 5 sample packets of this product and rushed onto skinstore.com to purchase the full product -- I saw great results after using just the samples. It is easy to use, simply open up step 1 and apply, wait 2 minutes and apply step 2. I apply it before bed and usually follow it up with Caudalie's Vinoperfect Radiance Serum.This product has helped my complexion a lot and minimized my pores/tightened my skin without drying. It is gentle enough to use every day, though because of the price I use it every 3 days instead and still reap the benefits (and the added bonus that it lasts me 3 months). The packets also provide you with the added benefit that every pad is moist when you are ready to use it and you don't run the risk of accidentally using 2 pads when they stick together; plus they are great for travel!